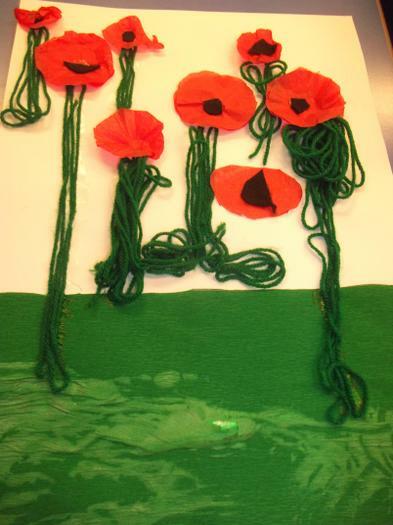 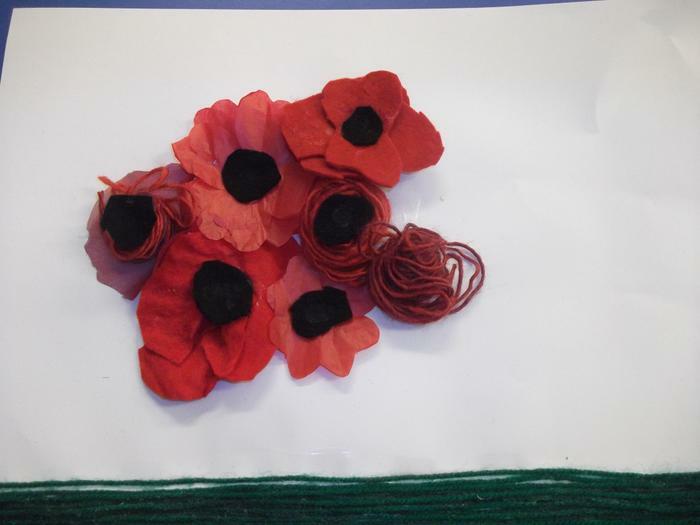 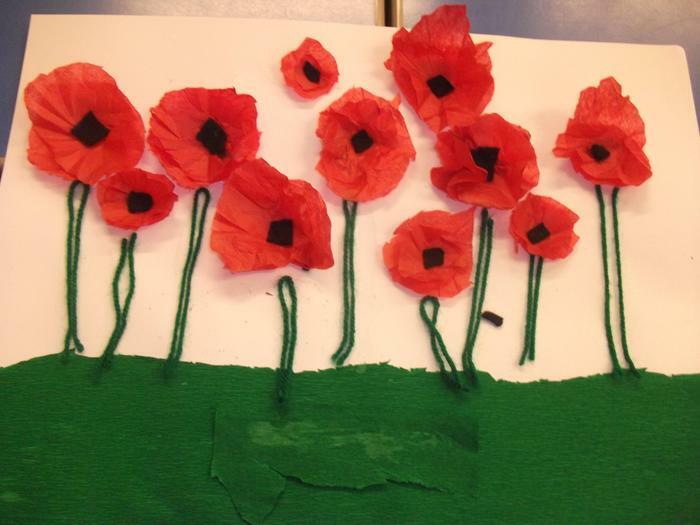 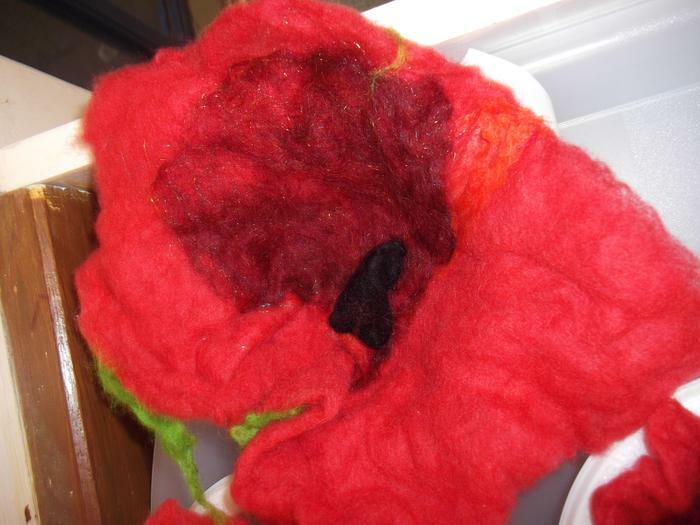 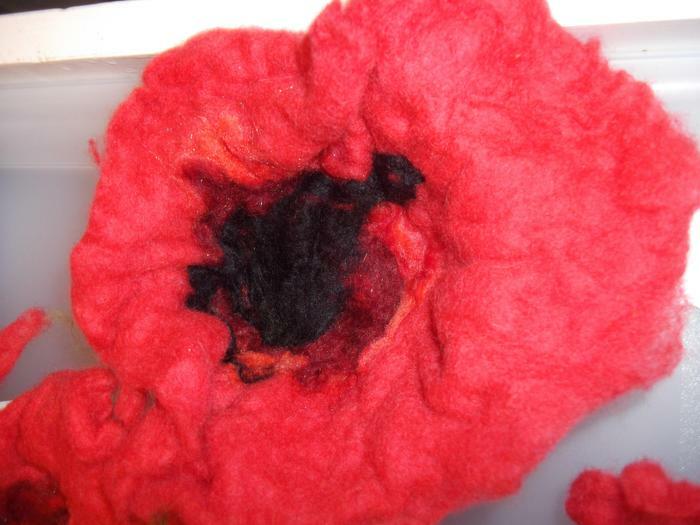 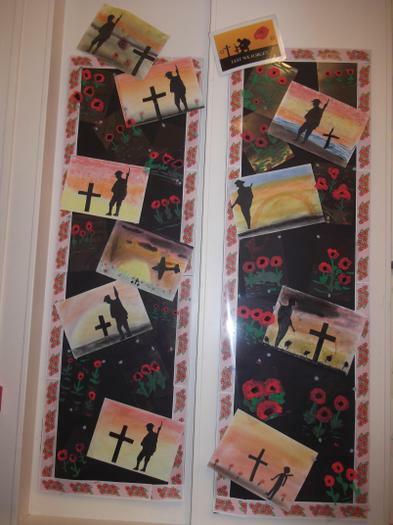 We created a 'people poppy' living artwork as part of our 'Remembrance' Arts celebrations. 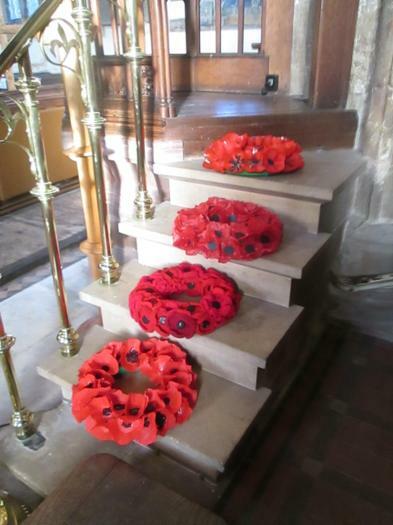 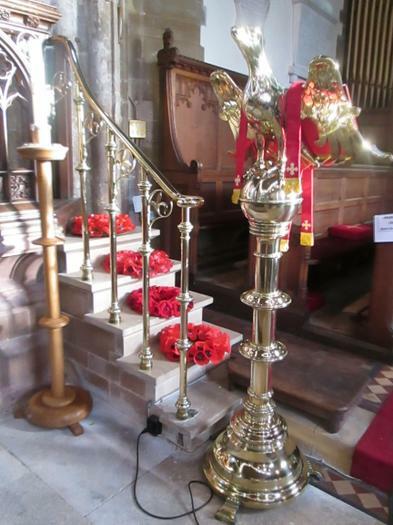 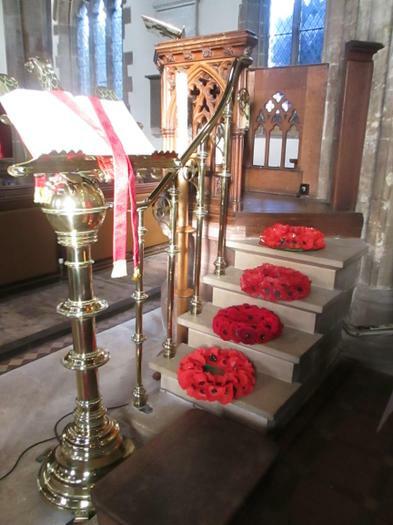 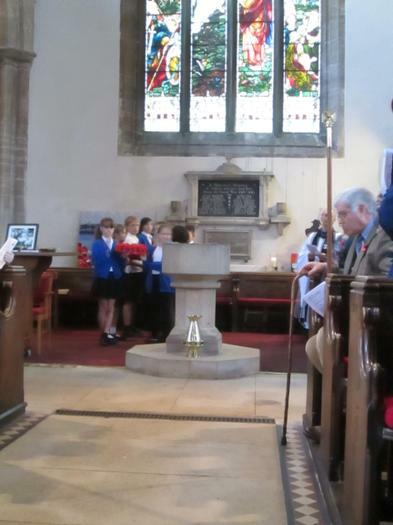 The four beautiful poppy wreaths made by the children (with a little help from teachers and families) to lay in the church at the Billingborough roll of honour. 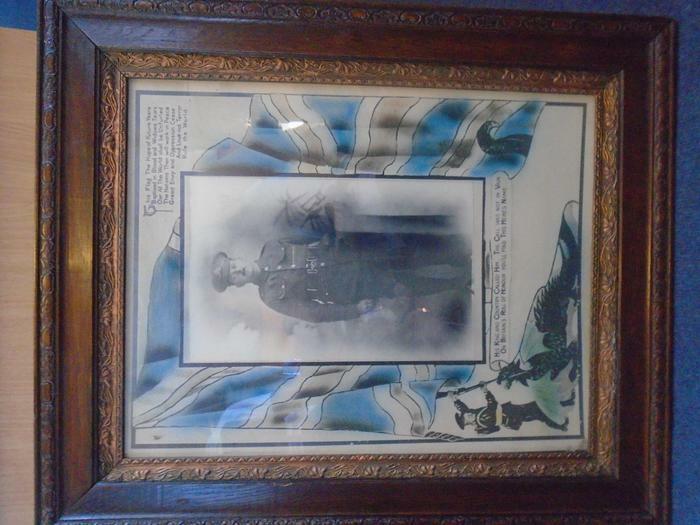 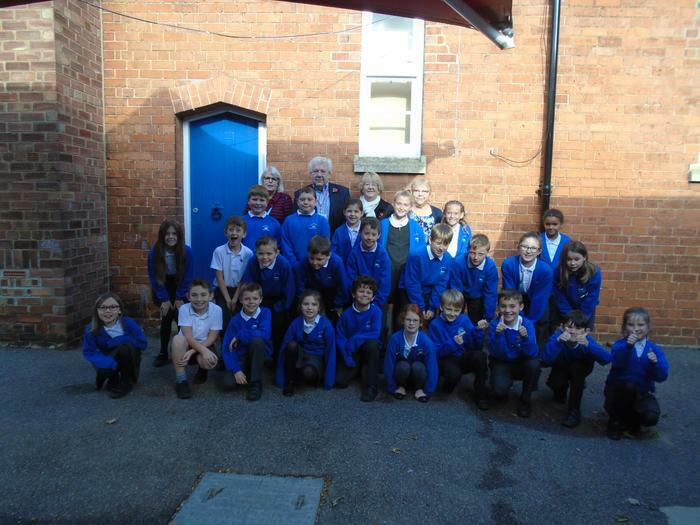 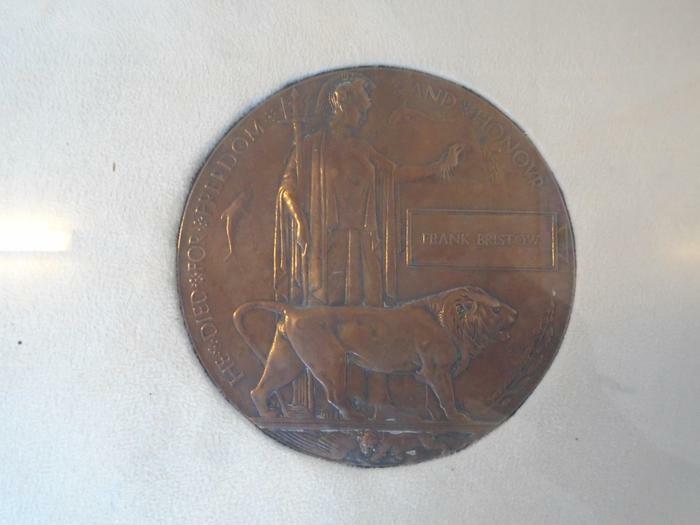 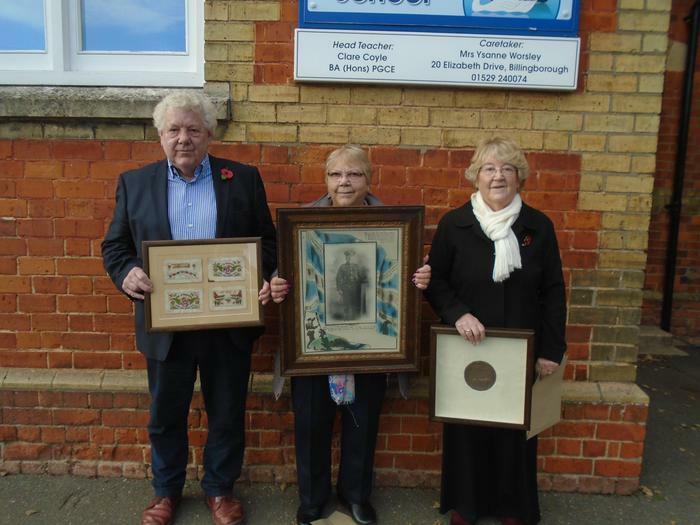 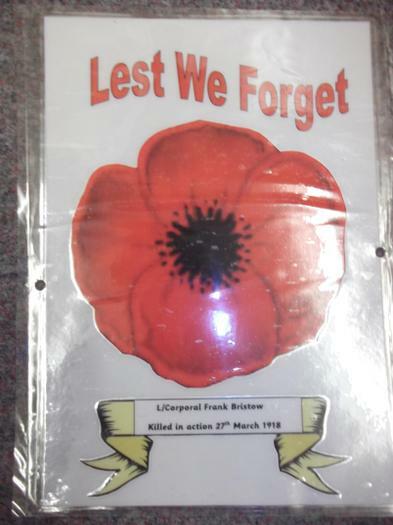 Children from years 4, 5 and 6 met Mr Frank Bristow and his sisters Barbara and Edwina who visited school to share memories and memorabilia of their Grandfather Lance Corporal Frank Bristow who was killed in action at the Somme. 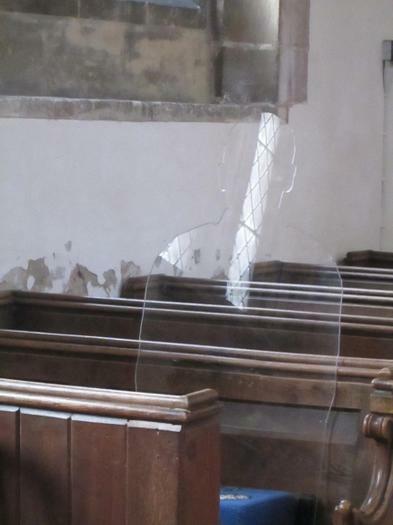 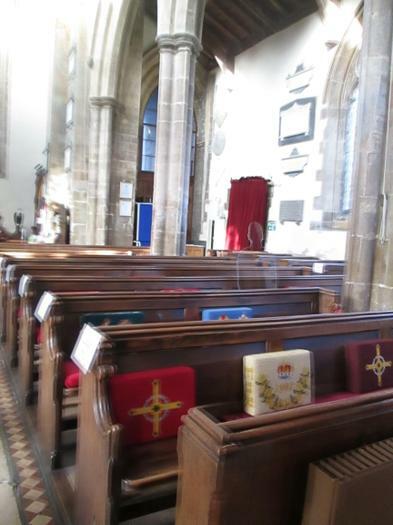 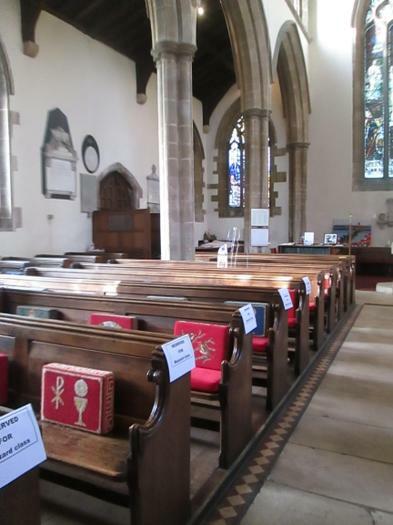 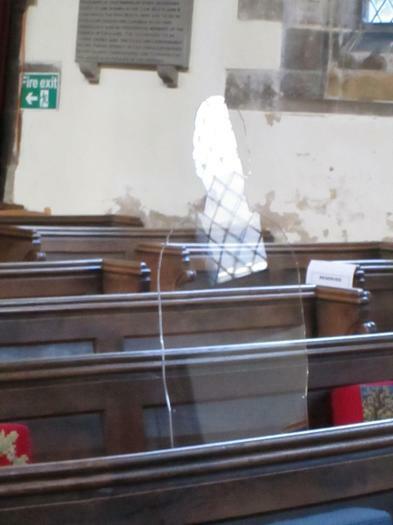 Views inside the church of our five Tommy silhouettes in situ. 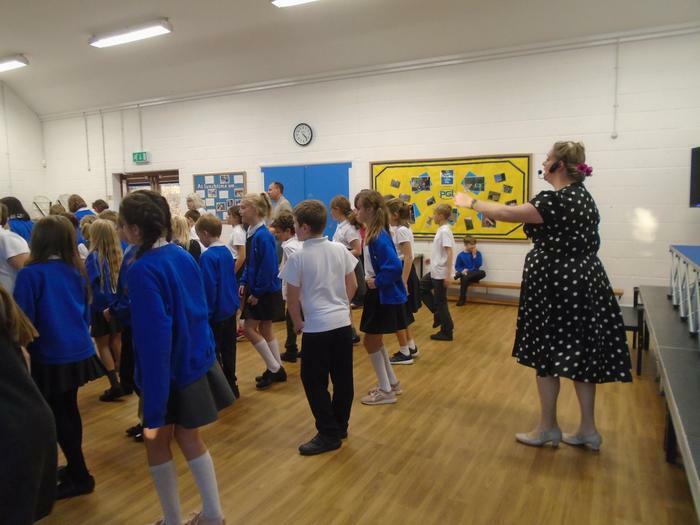 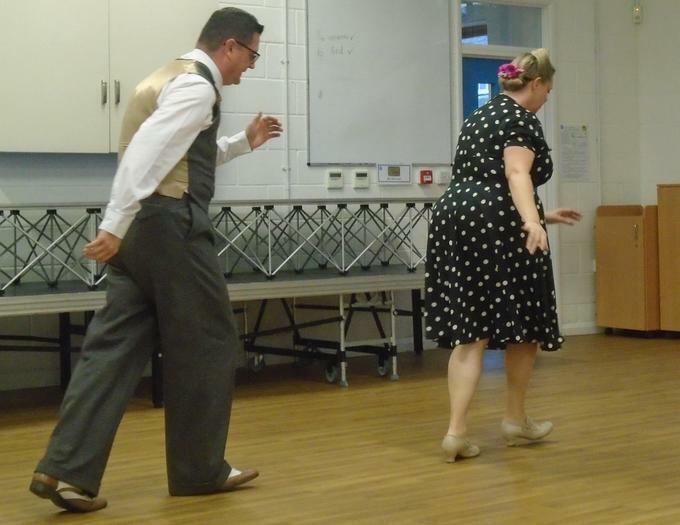 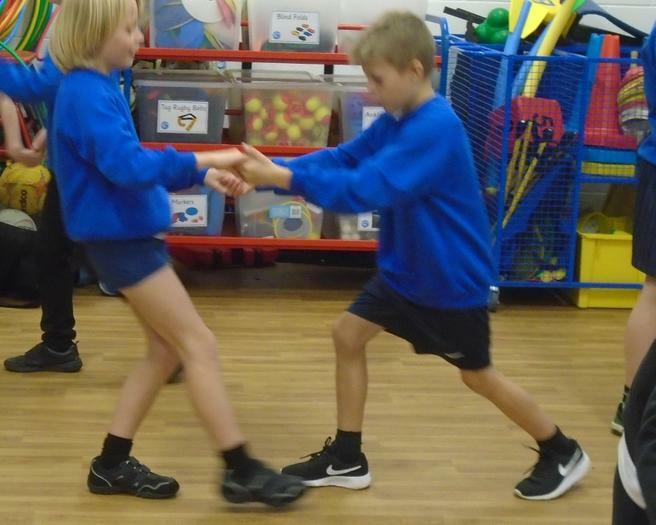 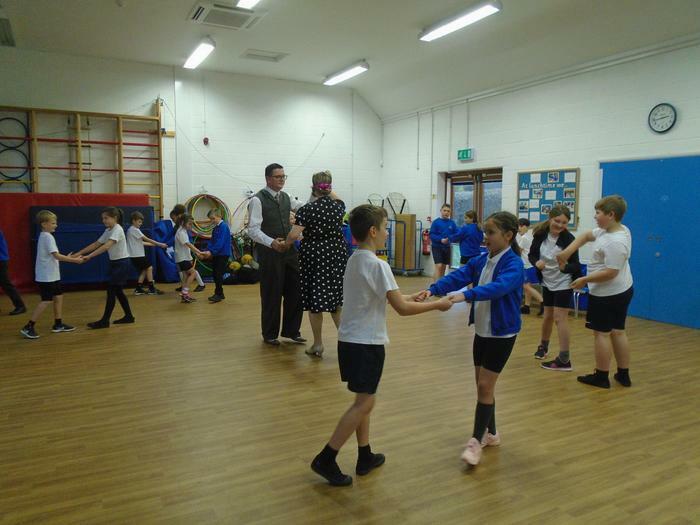 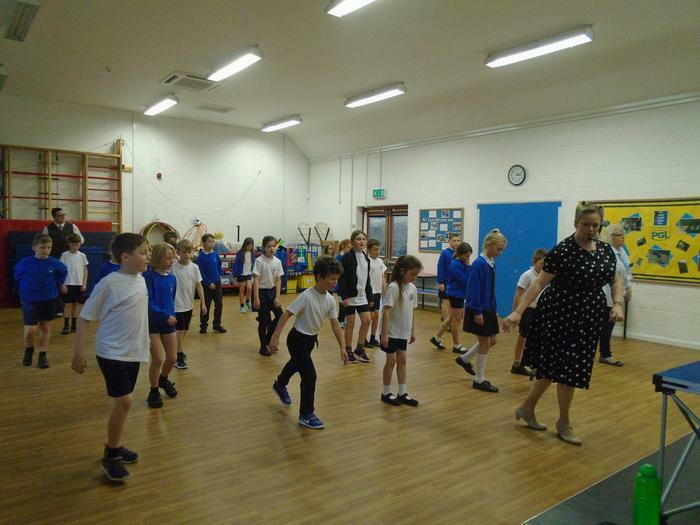 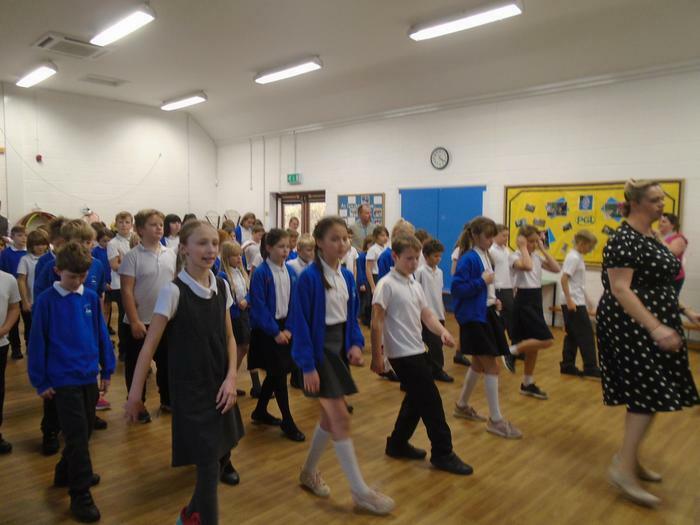 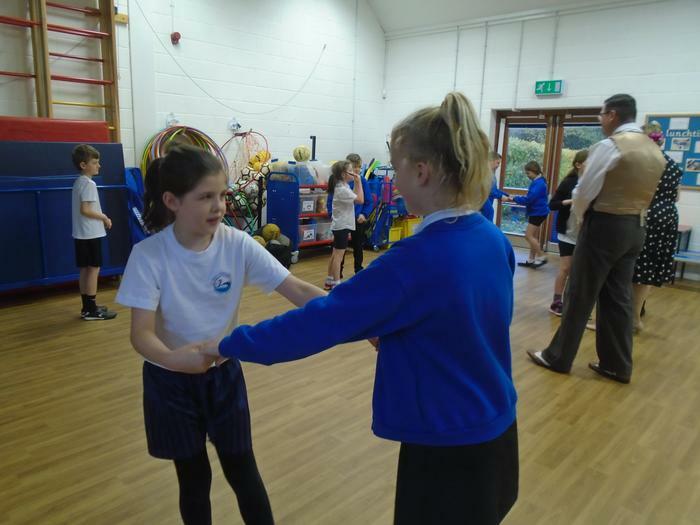 Children in years 3,4,5 and 6 learned to jive and Charleston with Neil and Claire from Boston Jive. 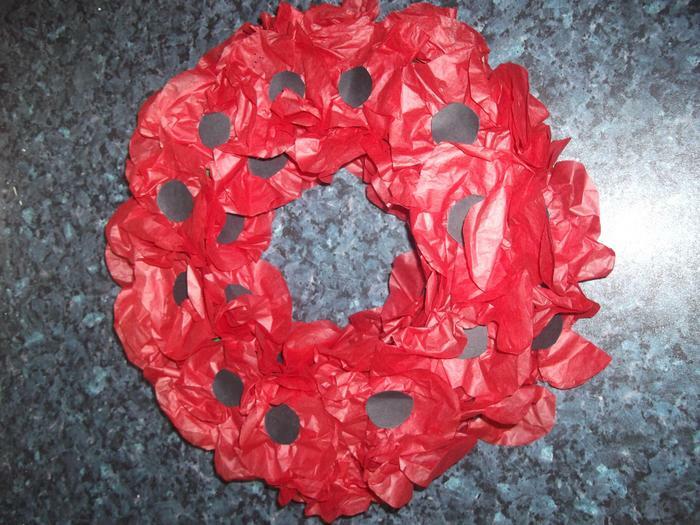 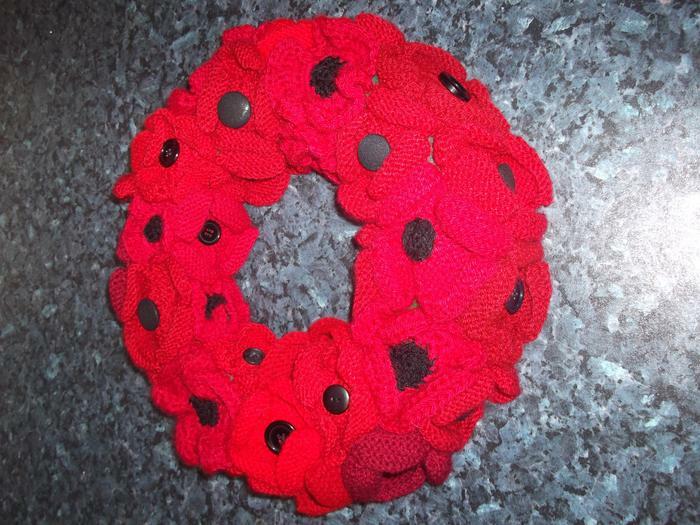 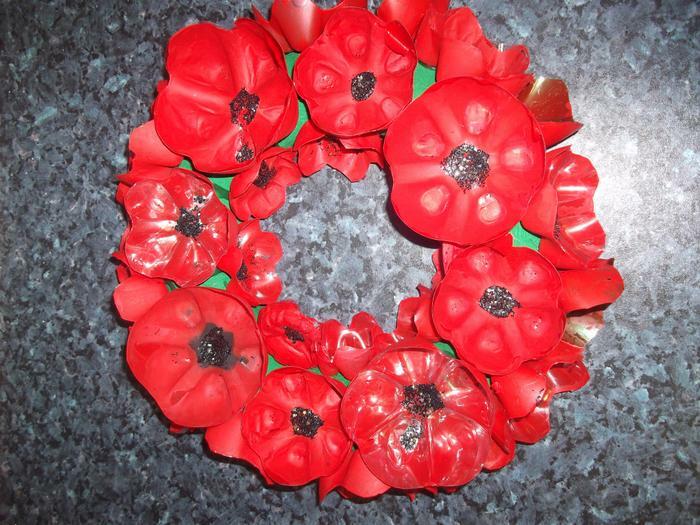 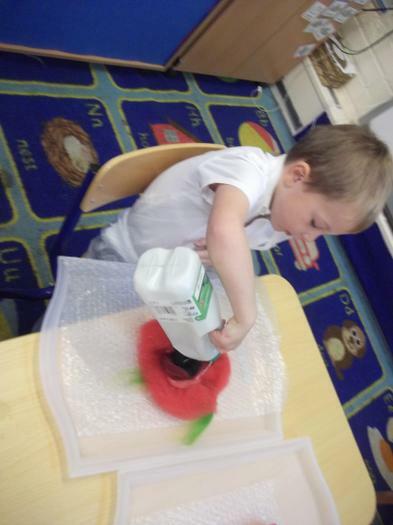 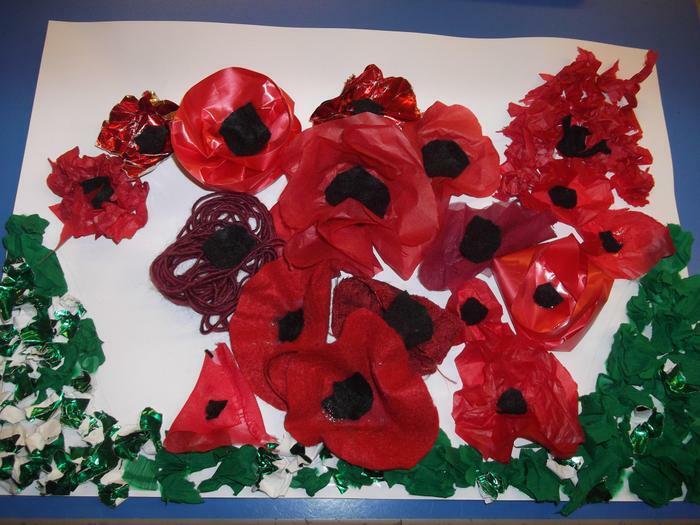 and painted the bottom of plastic bottles to be made into one of the school poppy wreaths. 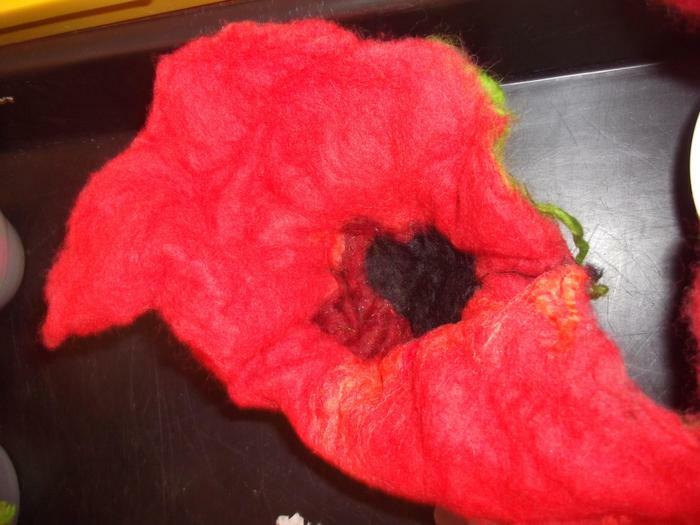 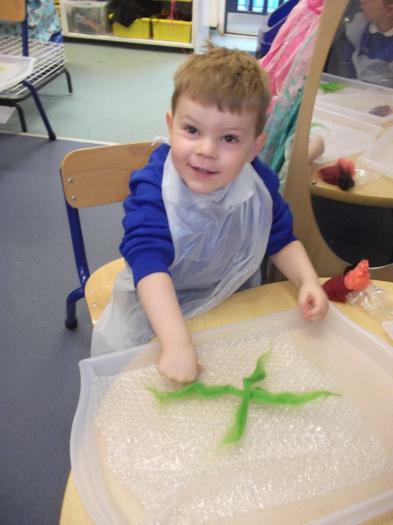 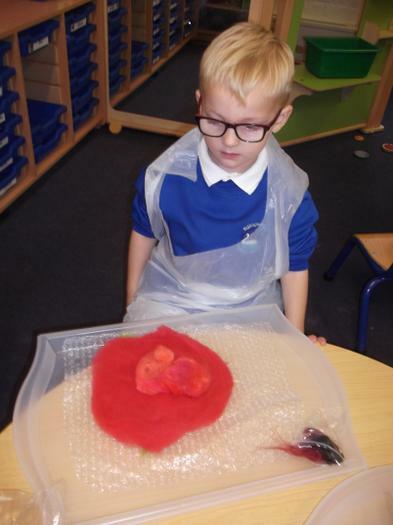 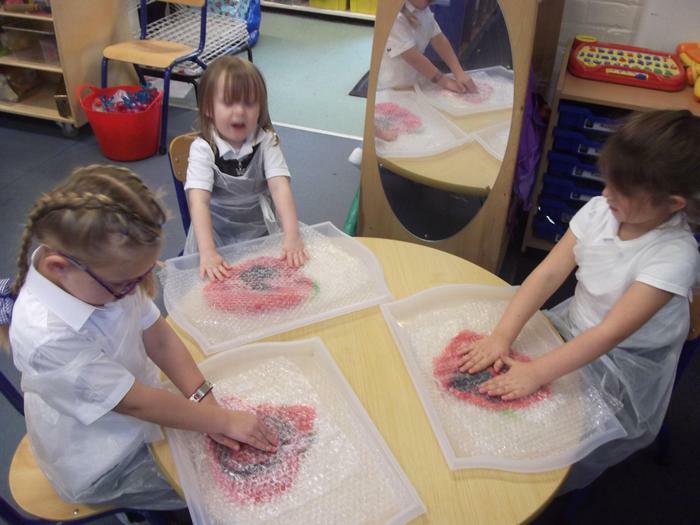 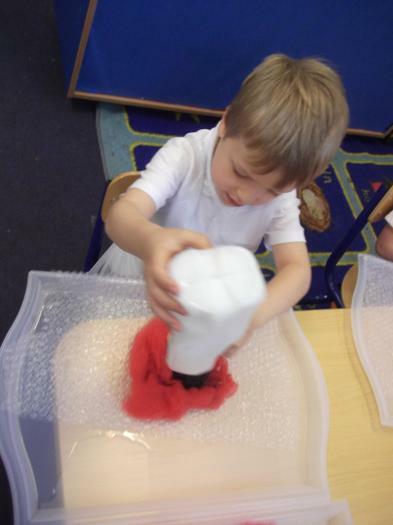 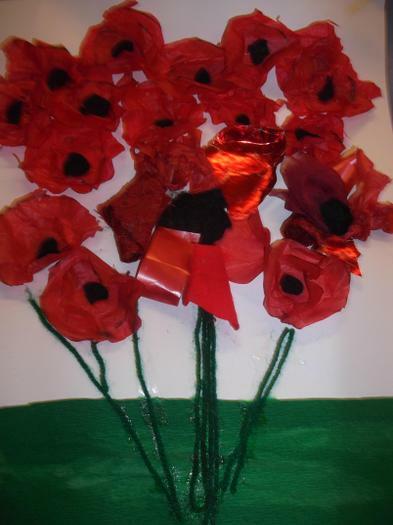 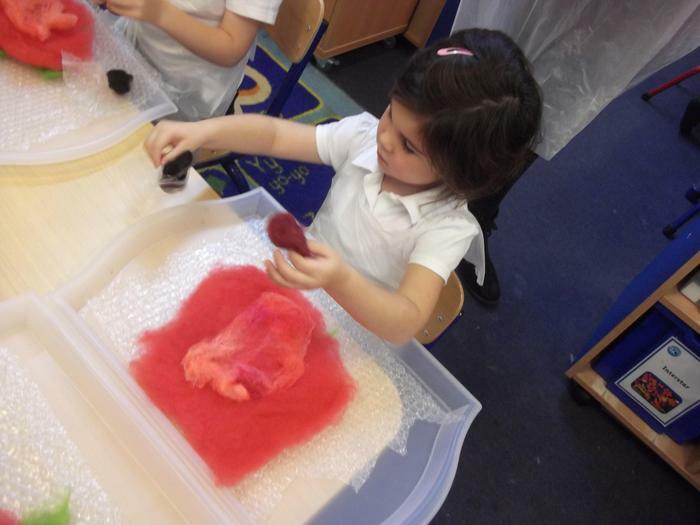 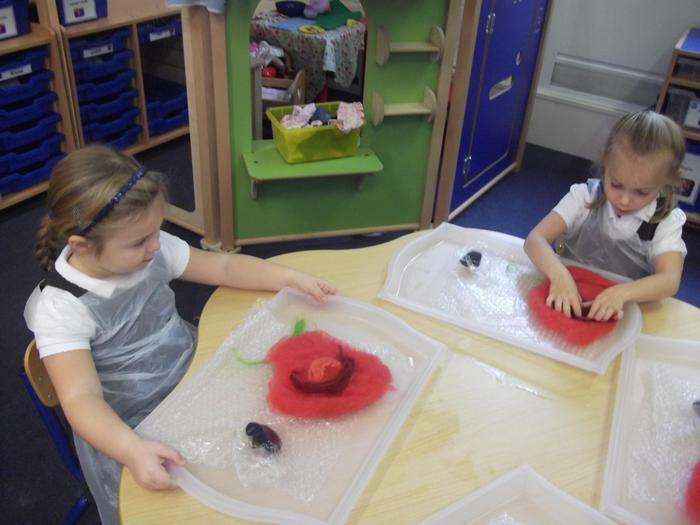 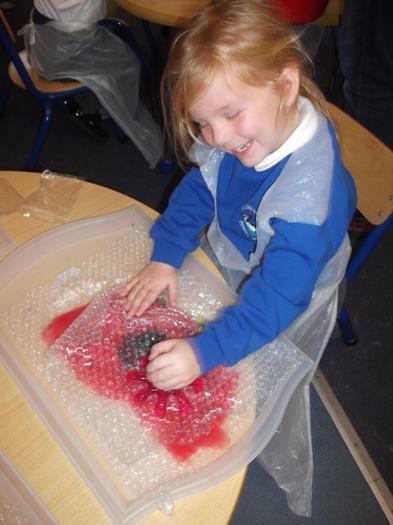 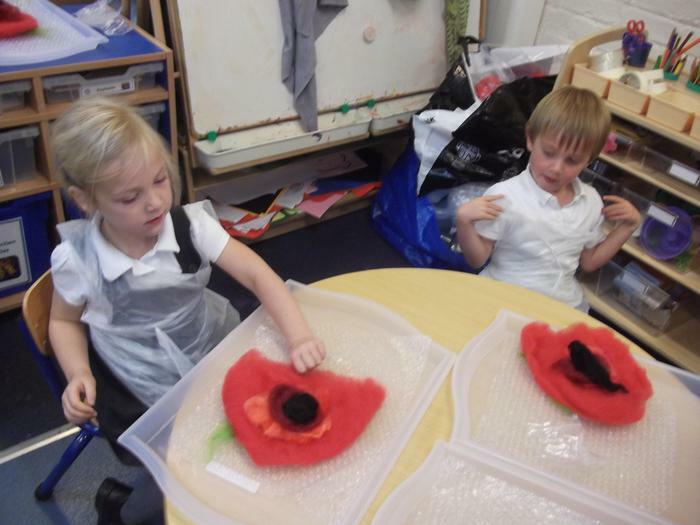 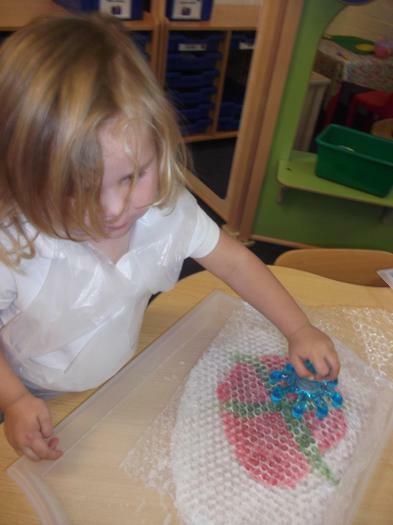 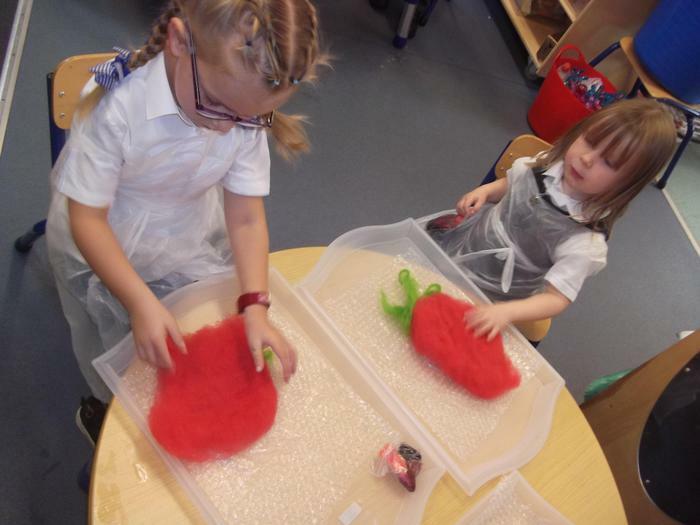 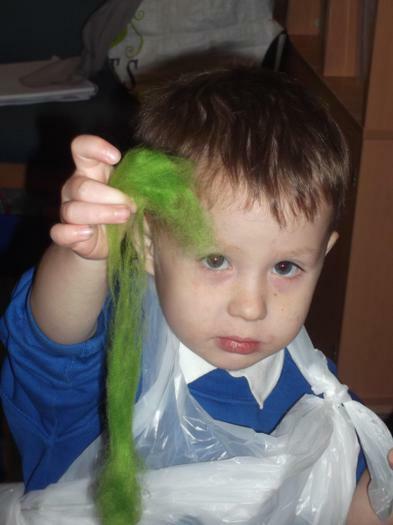 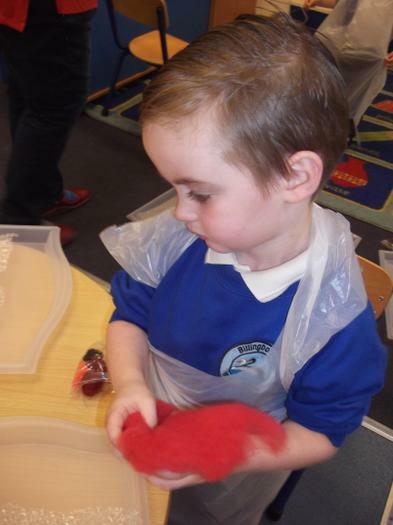 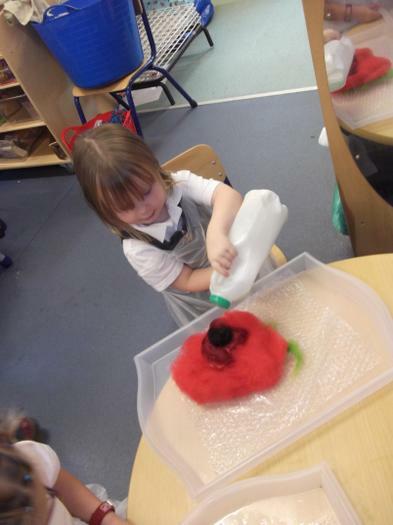 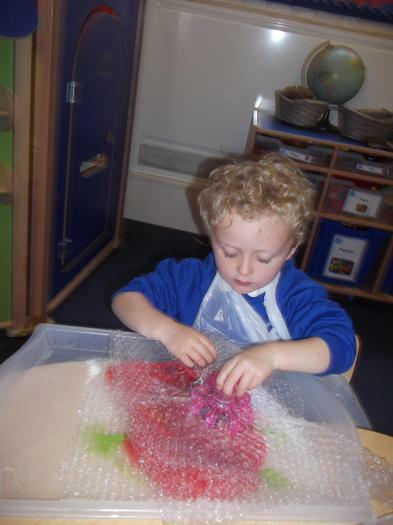 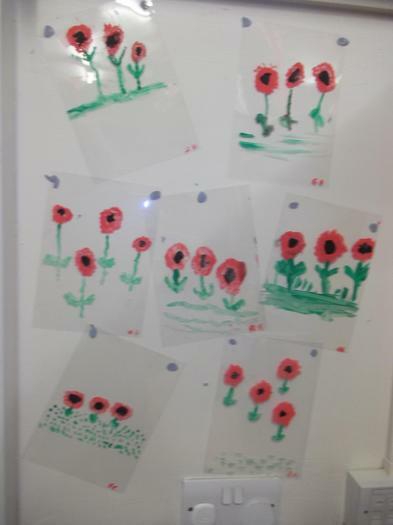 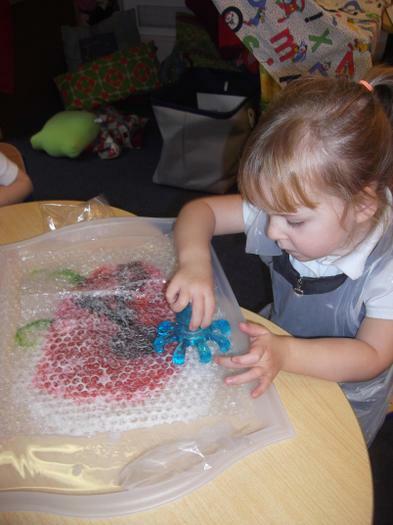 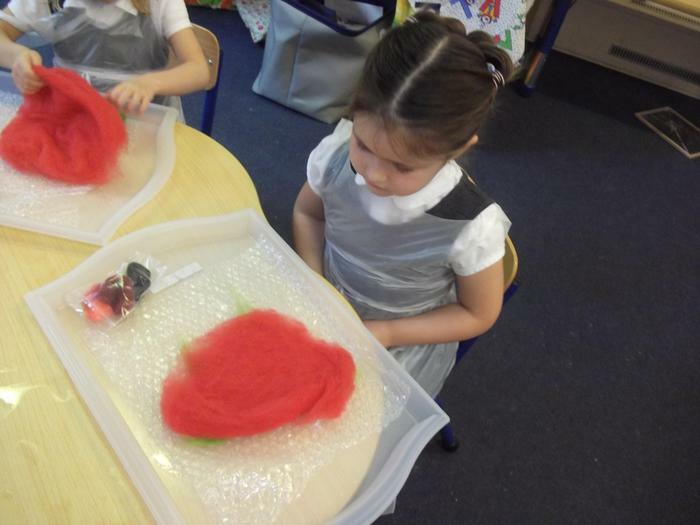 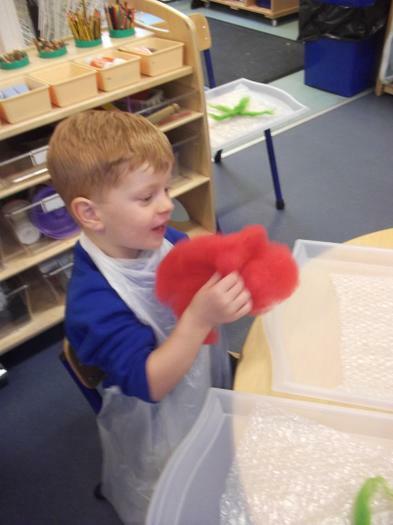 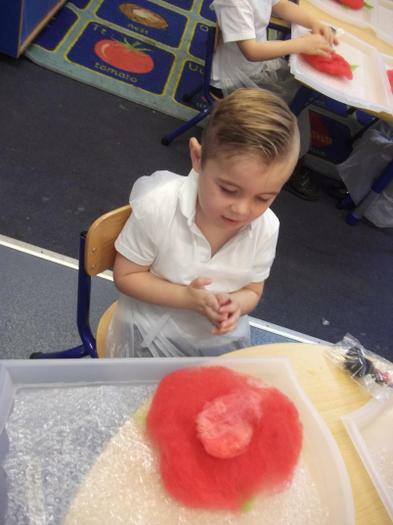 Reception children from Dormice and Water Vole class along with Year 1 children made handprint poppies. 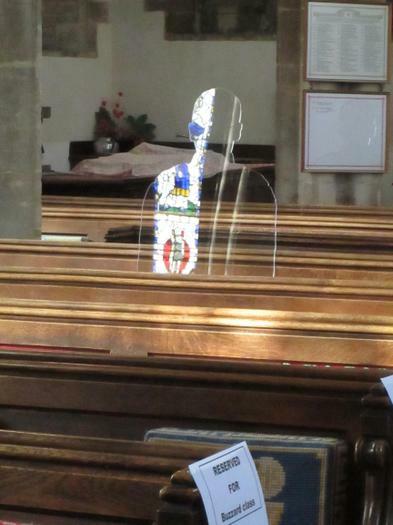 and a Tommy statue adorned with egg box poppies. 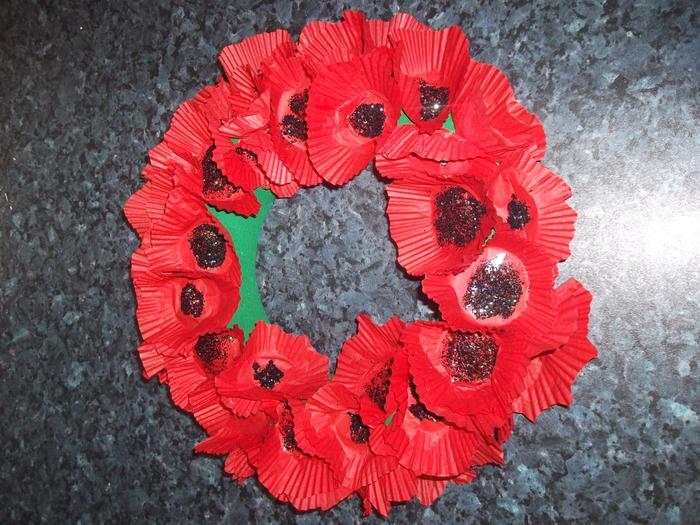 Nightingales made one of the class wreaths from red paper cake cases and black glitter. 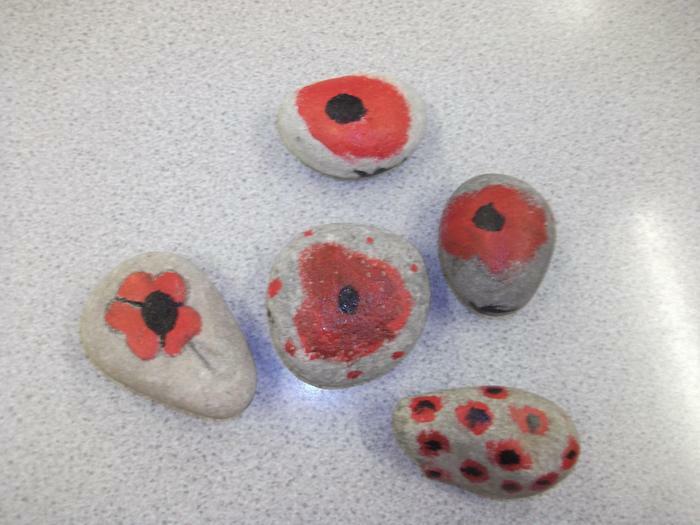 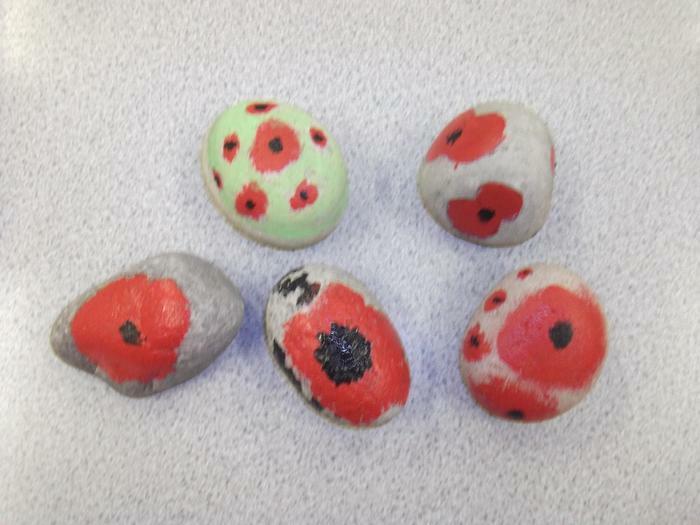 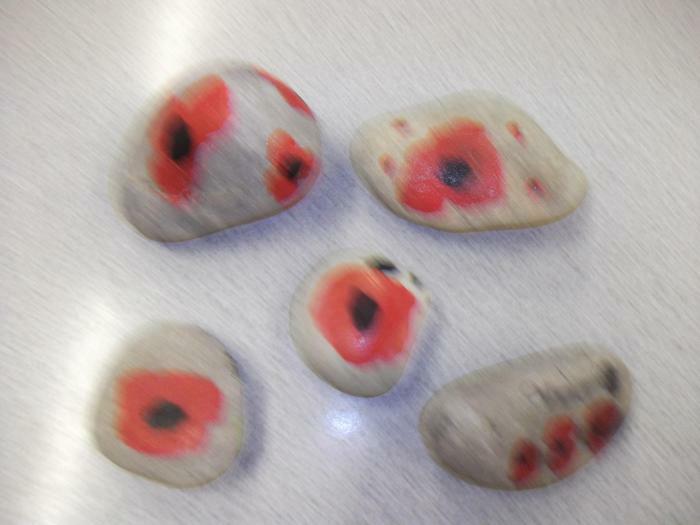 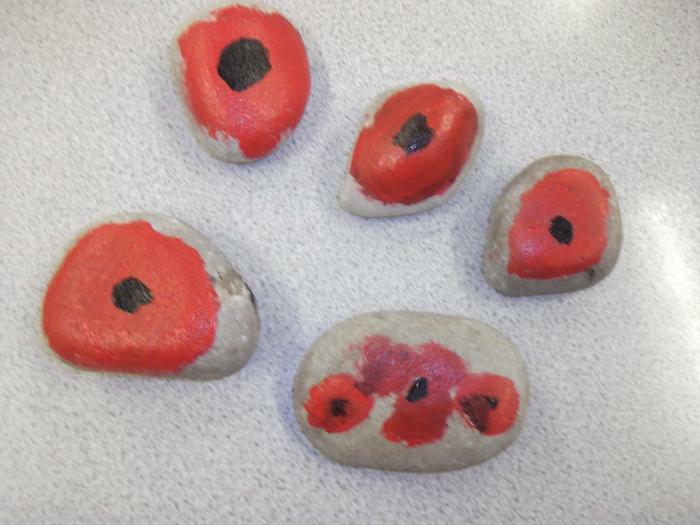 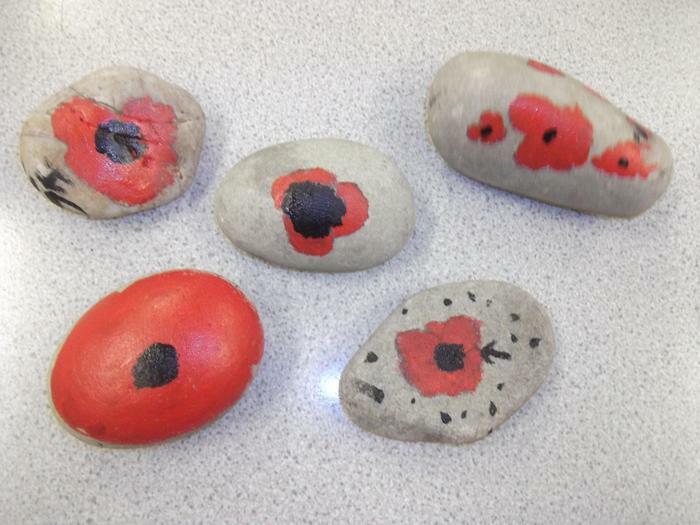 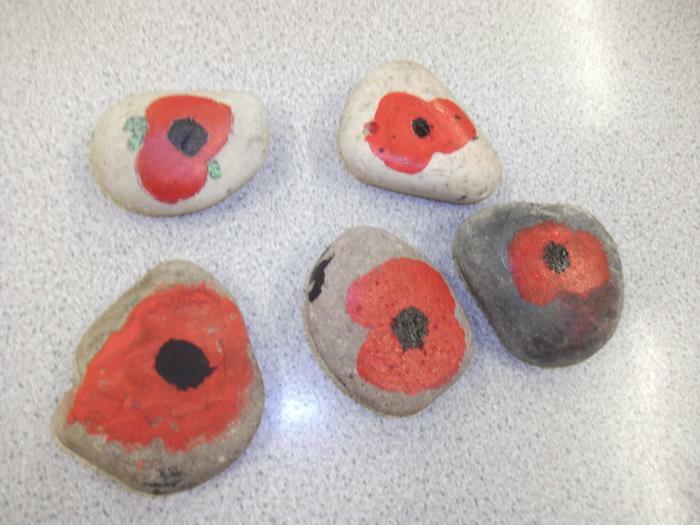 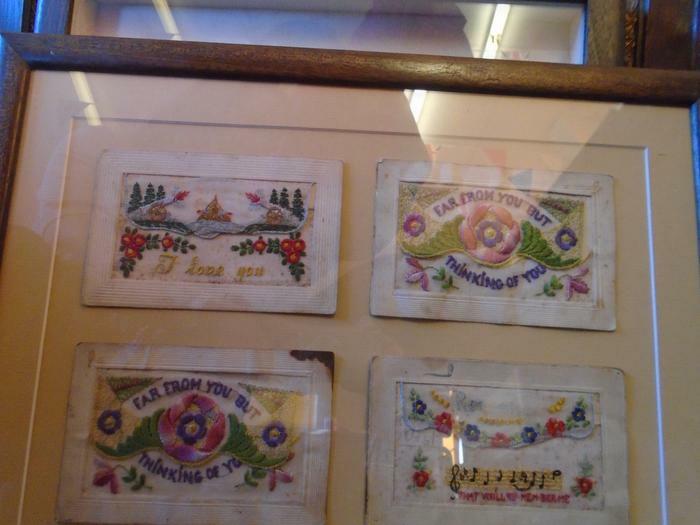 They also painted poppies on acetate sheets, silhouettes of Tommies and created poppy collages..
Barn Owls painted poppies on stones to create 'Love Rocks' These can be placed for others to find to spread the message of remembrance.